Cauliflower Chilly is a popular Indian recipe. Children’s like this recipe because it is more crispy and tasty; particularly in rainy season it will tempt us to eat. Dip the florets into the batter. 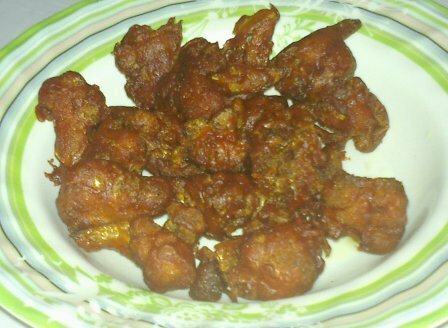 Deep fry marinate the cauliflower florets until became fully cooked and crispy.